ATM Hunter for iPhone available from MasterCard | OhGizmo! Last time I was in California for a conference, I spent a good hour trying to find an ATM to get some cash to eat lunch. I hate not being able to find an ATM and even in my hometown at times, it can be hard to find a place to grab some cash. 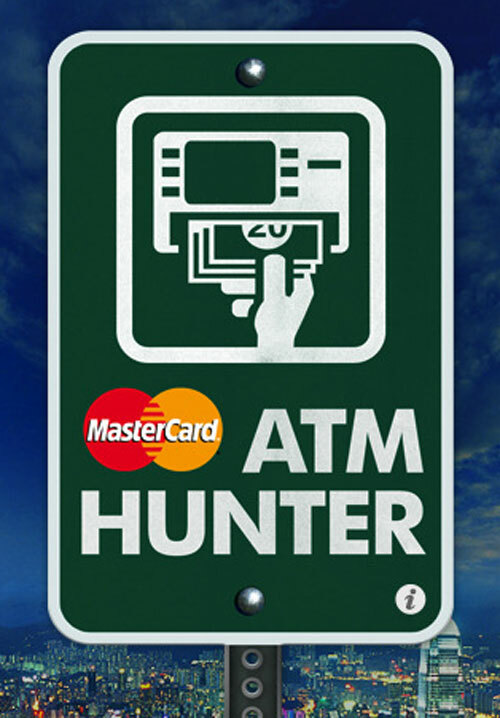 MasterCard has announced a new application for the iPhone and iPod touch called ATM Hunter that will find ATMs near you. The application uses the location functionality of the devices to pinpoint ATMs nearby. You can also sort the ATM locations to find ones open 24-hours per day, ATMs owned by your bank to skip those massive fees, or ATMs that are wheelchair accessible. Once you find a location that works for you, the app will give you directions to get there. You don’t even need to be a MasterCard user to get the app, which is available now for free. Why not just an intelligent sort that tells me whether or not it's open *right now*? Did I miss some reasonable way to do this? They have a “no surcharge” filter, but that only shows ATMs with no surcharge for anybody (does such a thing even exist?). Doesn't know which bank I use. I'm a chase customer and use their app. Works better than this one IMHO.